In 1960, steam trucks were sent to Algeria, but without success. Marius Berliet wanted to prove that petrol trucks could be used instead and organised a North-South crossing of Algeria. 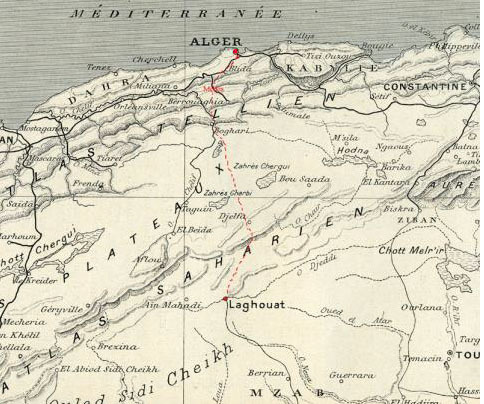 A Berliet truck, with a 3-tonne cargo, covered the 330 km between Algiers and Laghouat. The round trip took ten days and sometimes needed help from the local population to cross the desert sands by means of wooden planks under its iron-clad wheels. 1. A Berliet type L, 2-tonne truck, at an outpost. Iron-clad wheels. In Media, the truck managed to climb a 12-km hill at a speed of 8 km/hour. No other truck had ever been to Laghouat. Its arrival was a major event which boosted the reputation of the Lyon-based manufacturer. 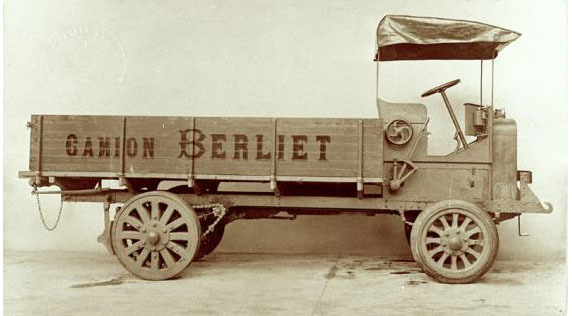 The same year, Berliet opened a subsidiary in Algiers inaugurating its ongoing presence in Africa.